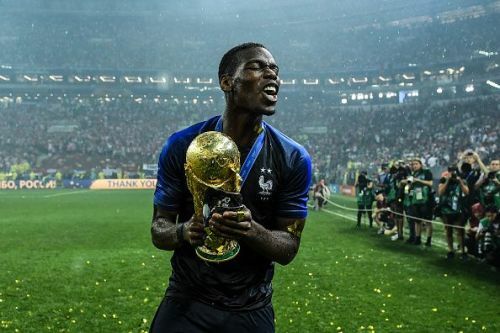 The all-important quadrennial FIFA World Cup drew to a close on 15 July 2018 in grand fashion, with France clinching their second title following the 1998 triumph. Needless to say, the competition had it all. While it furnished us with thrills and spills, it also led to massive changes in the values of different players, owing to their exploits in Russia. There is no doubt that the business in the ongoing transfer window will be profoundly affected by the contest. In a football world reigned by forwards, the most unhonoured presence on the pitch is probably of a midfielder. A player playing on the aforementioned position has the most pivotal role during a match, controlling the entire game from the core of the pitch. On that note, here we take a look at the top 10 most valuable midfielders in the world right now. Market values for a particular player are calculated by how well they play, age, their marketability and ability to sell shirts. Note: Market values represent what their actual price in the transfer market is supposed to be and not the current inflated amounts. 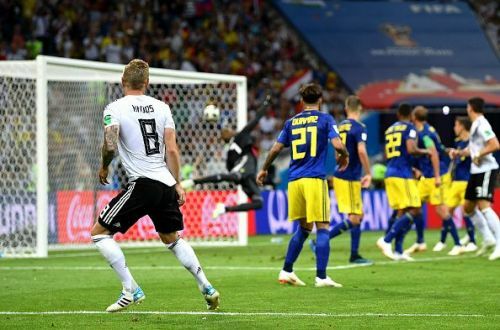 It goes without saying that the most sensational shock of the World Cup was the premature departure of the defending champions - Germany - from the group stage itself. And one player who was particularly underwhelming for Die Mannschaft was the Real Madrid superstar - Toni Kroos. In the entirety of the tournament, the German was a watered-down adaptation of his former self as he failed to live up to his billing. Nevertheless, he has still made the cut for the list by reason of a stellar season with Real Madrid where he was an instrumental figure in the club's road to the Champions League three-peat. The 28-year-old is the driving force of Los Blancos in tandem with Luka Modric, courtesy of his inch-perfect passes, mental composure and tactical intelligence that has cemented his position at Santiago Bernabeu.